You will need to make his nose first as it needs time to dry. 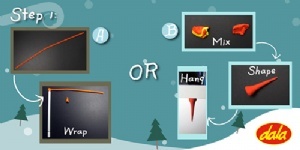 a: substitute his nose with an orange chenille stem if you do not have Dala Clever Clay. 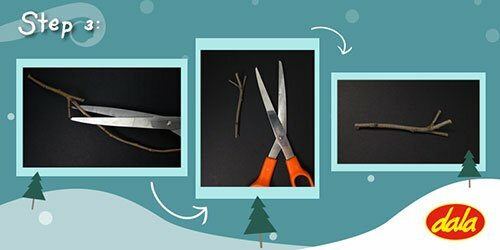 Wrap the chenille stem tightly around the nose of a pencil to create a neat mini cone shape. Snip it off when you have covered the entire nose of the pencil. b: create the nose by mixing some Teddy Clever Clay in red and yellow together until a nice orange hue has been achieved. Shape this into a tapering worm to mimic a carrot. Due to the nature of Clever Clay it is best to let it dry / set upside down. Sometimes the best results can be achieved by the aid of gravity. Stick your tapering worm shape to the underside of a cupboard shelf to retain the tapering shape. Drying should take about an hour. 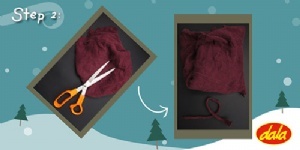 From your chosen piece of material, cut a strip (doesn't have to be neat) for a scarf - should be about 15 cm in length. Set this aside. 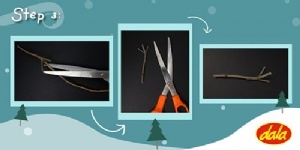 From the twigs you have found outside - choose some nice pieces for arms and trim them to size. They should be around 5.5 cm in length. Now we you are going to start building the snowman. 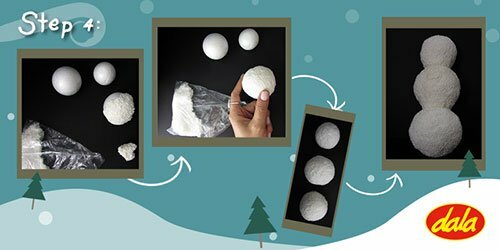 Cover each ball in White fun foam by adding small amounts at a time and taking care to press it down firmly with your fingers and thumbs continuously to ensure smooth, even coverage. Handy Tip: By placing a blob of about the size of a plastic bottle top underneath the snowmans' bottom sphere and then pushing it down onto a flat surface you can create a base for him to stand upright. 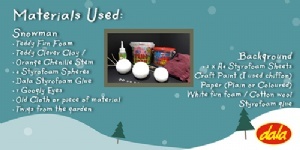 While the fun foam is still wet and tacky, stick the spheres to / ontop of one another using a 60ml for his bottom, 60ml ball for his mid-section and the 40ml for his head. Allow him to stand somewhere to dry like this. Leaning against something is best. Carefully cut each of the googly eyes open to retrieve the black discs from within. 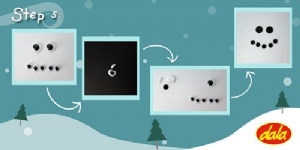 The two larger discs from the 8ml sized eyes are for the snowman's eyes, while the smaller discs from the 5ml eyes are for his smile. Set the discs aside. 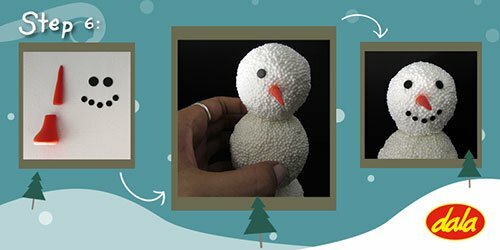 Now that your Fun Foam covering your snowman's body is dry we can start to give him life. If you made the nose out of Clever Clay, trim it down to a size that you like, making sure it is proportionate to the size of his head. Using small blobs of Styrofoam glue, attach his nose to the center of his face; the larger black discs for eyes, and create a smile for him using the 5 smaller black discs. Wrap the scarf around the snowman's neck and tie a knot in it to secure it. 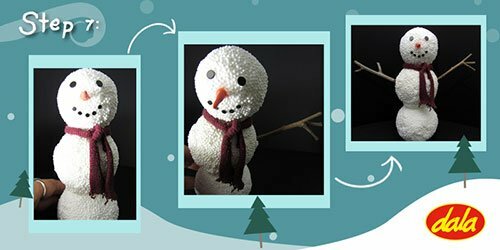 Next to attach the arms, carefully push the twigs into the sides of the snowman at a slight angle so that it looks as if the arms are slightly raised. 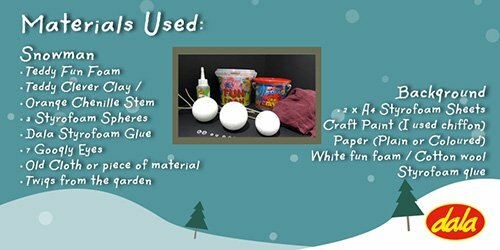 Push the twigs right into the Styrofoam ball underneath the Fun Foam layer. This will be nice and secure. 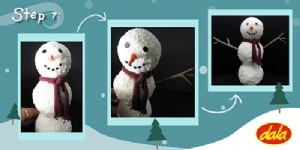 There you have it - your Fun Foam snowman is now complete! Place him somewhere where he can stand securely to dry. 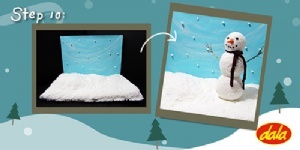 Should you want to create a scene for your Snowman to stand in as well, continue with Steps 7 through to 10. While waiting for the Styrofoam sheet construction to dry - Create a backdrop using a sheet of plain white paper and paint on it your own sky scene. I used a lovely Dala Craft Paint colour called 'Chiffon'. 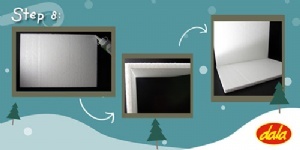 When the paint is dry - glue the page onto the upright sheet of Styrofoam to secure the backdrop. 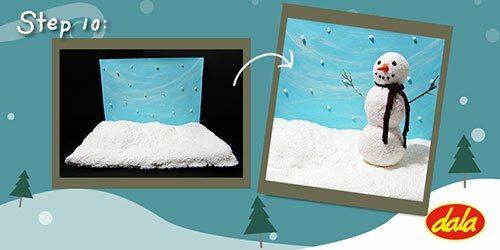 Now that your background has been glued on you can start to build up your snow covered floor for your snowman to stand on. I used White Fun Foam - probably around 200g. 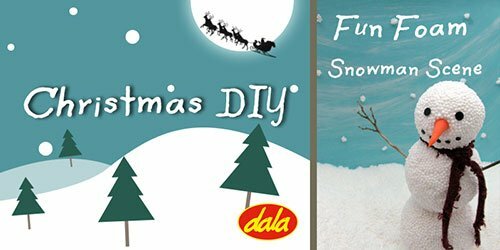 You may substitute Fun Foam for any other fluffy, white material like cotton wool. 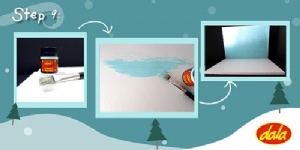 This will also give you a nice snowy look and feel. If you like - you can also stick tiny blobs of Fun Foam / cotton wool onto your background so that it looks as if it is snowing. This item has 707 views.